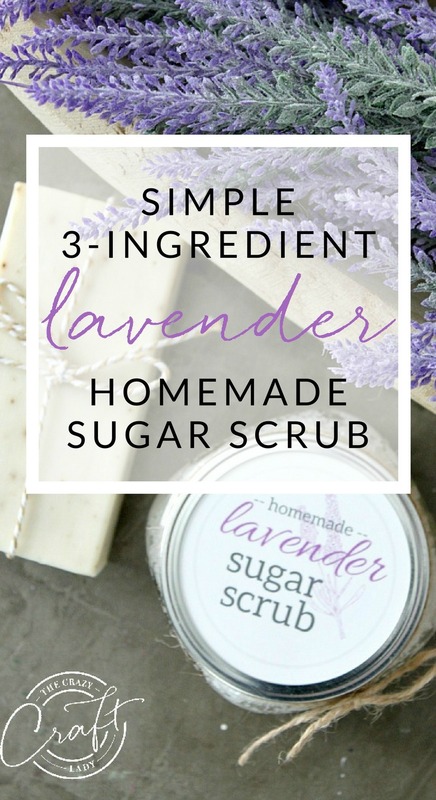 Follow this lavender sugar scrub recipe, and have a homemade gift in no time, with 3 simple ingredients. 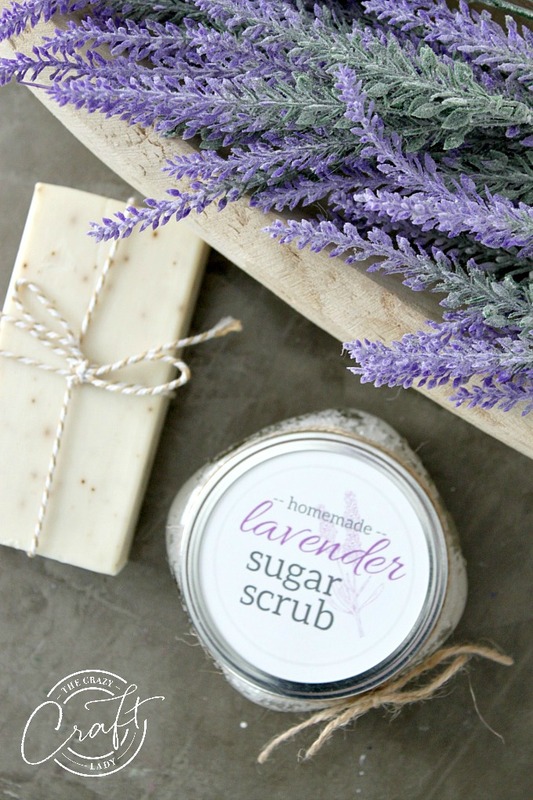 Make a homemade gift or pampering treat with this Lavender Sugar Scrub Recipe. 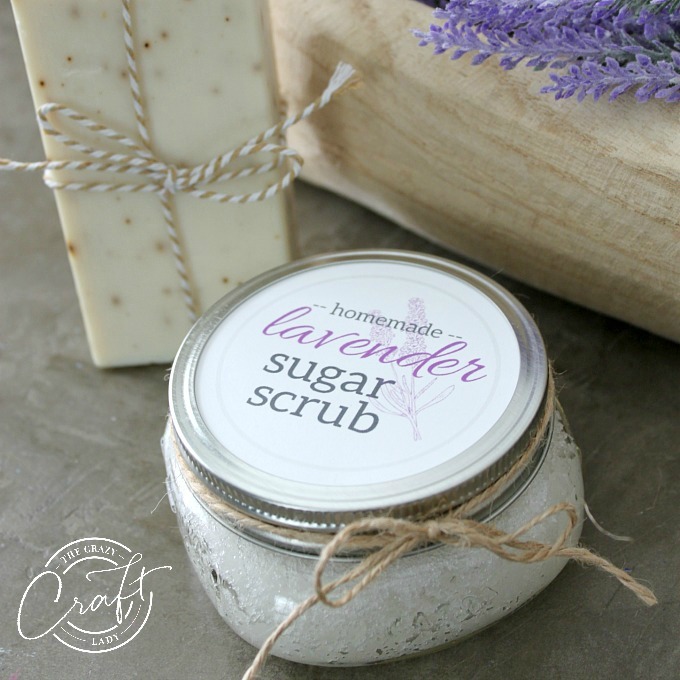 With three simple ingredients, you can make a calming sugar scrub with lavender essential oils. 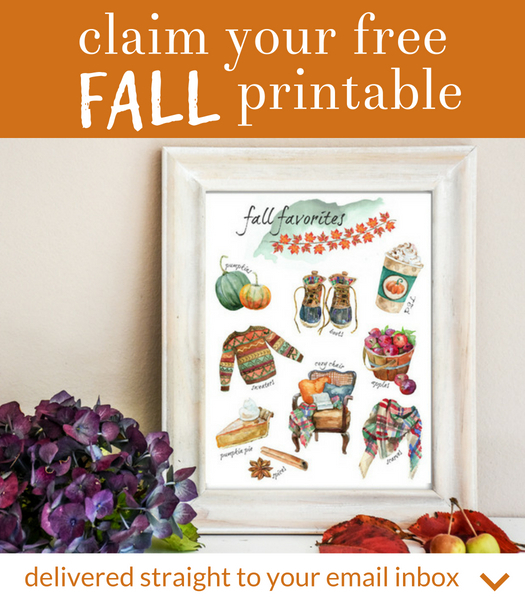 Keep for yourself, or give as a gift to mom, grandma, or a neighbor, using this FREE printable label. I love lavender, and it’s no wonder why it’s so popular. 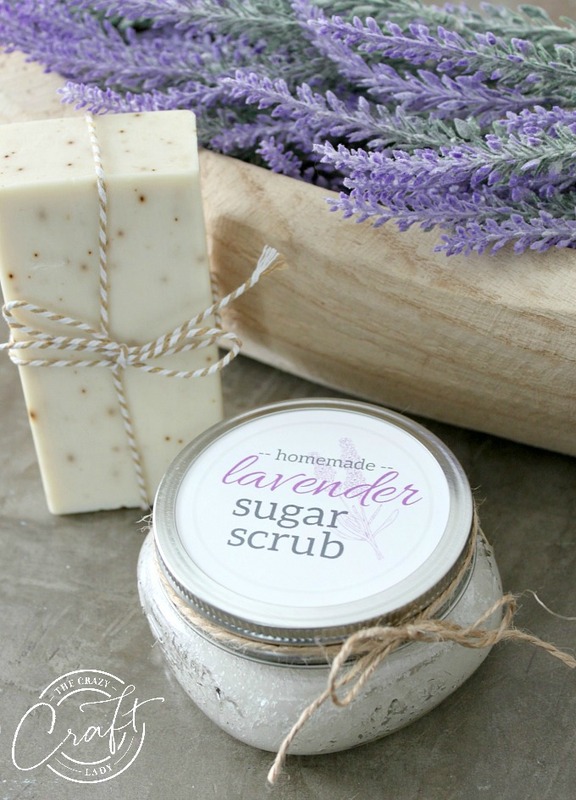 Using lotions and soaps with lavender is a great way to unwind and relax, while pampering yourself just a bit. 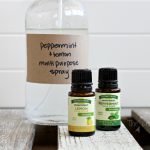 With Mother’s Day coming up, why not give mom a homemade gift that will help her relax a bit? 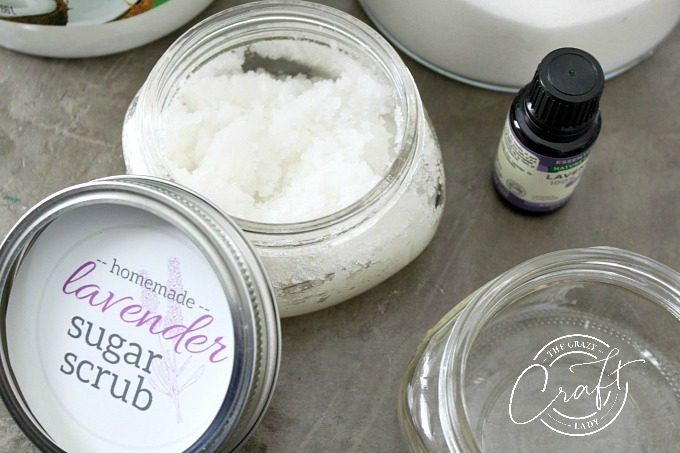 This homemade sugar scrub is so easy to make, and you know mom will love it. 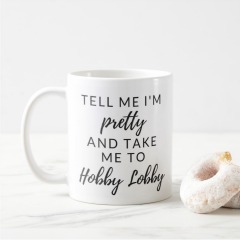 Related: If you’re looking for more handmade gift ideas for Mother’s Day or just because, check out these Homemade Mother’s Day Gifts from Kids – there are great ideas for kids of all ages. 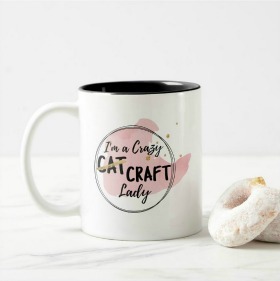 And if she is a crafter or creative type, you need to see this Mother’s Day Gift Guide for Crafty Moms. 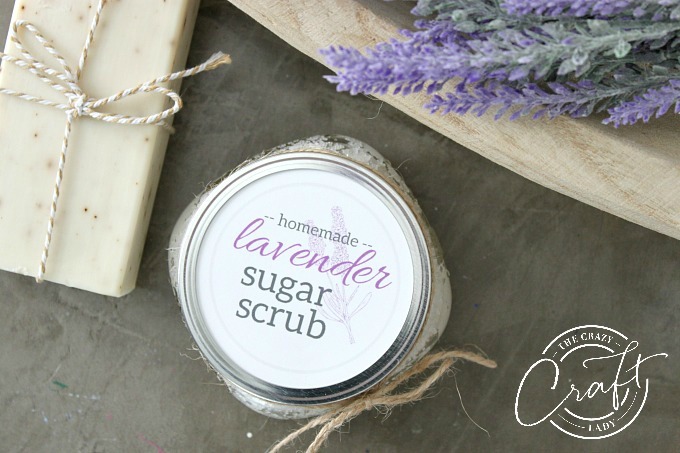 So grab a glass jar and three simple ingredients to make this pampering homemade sugar scrub.I love using this sugar scrub in the evenings right before bed. The lavender scent is relaxing, and the coconut oil moisturizes my skin while I sleep. 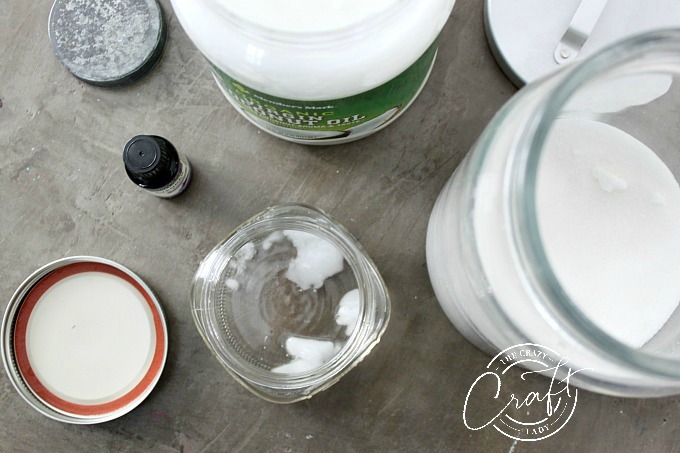 A note about coconut oil: If you enjoy making homemade scrubs and lotions, you will find yourself going through coconut oil at a pretty quick pace. I like to buy organic coconut oil in bulk at Sam’s Club or Costco – or order online with free shipping here. It’s way less expensive than buying in a smaller jar at the grocery store. grab a wide mouth half pint mason jar. This is important, since the recipe is tailored to fit exactly in this jar. 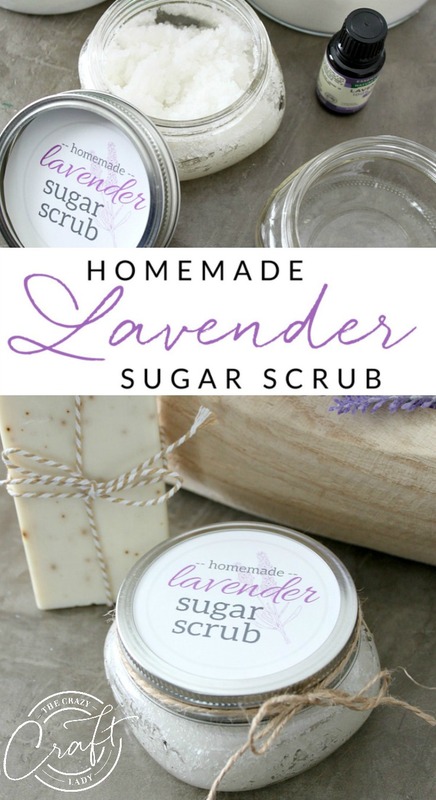 If you want to make more, just multiply the three basic ingredients: ½ cup sugar, 2 ½ tablespoons coconut oil, and 10-15 drops of lavender essential oil. Then you can make multiple jars or one larger jar. On low power in the microwave, melt the coconut oil. Watch the coconut oil carefully. Heat just until the coconut oil begins to melt. If there are tiny bits of solid coconut oil, that is just fine. Give them a quick stir to melt. Add the lavender essential oil and then the sugar. Stir to combine. Print the mason jar label (found here) onto white cardstock paper. Note: this label will only work on a wide mouth jar. Cut out the label and place it inside the mason jar ring. 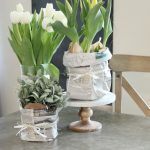 Close the mason jar, and add decorative twine o ribbon bow if you would like. You just can’t go wrong with a sweet homemade gift! 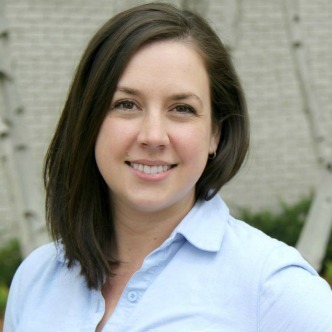 This post first appeared on Craft by Amanda where I’m a contributor. 150 FREE Botanical Prints Just for You! I've gathered links to over 150 of my FAVORITE botanical printables in a handy PDF guide. Get yours now... delivered straight to your email inbox!